﻿ Centara Grand at Central Plaza Ladprao Bangkok (Thailand) | FROM $82 - SAVE ON AGODA! "Great place to stay in the Ladprao area." "My family had such a fantastic time here." "we travel by car to Mae Sot location of Centara Grand is great." "Every Staff member we saw or dealt with were friendly and helpful." 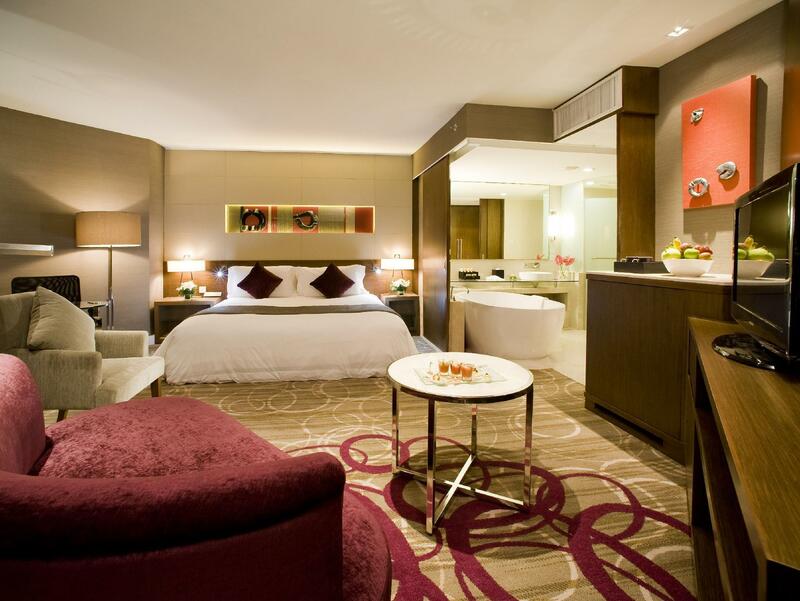 For impeccable service and an indulgent getaway, visit the Centara Grand at Central Plaza Ladprao Bangkok. With a 5 star rating, this hotel is great for experiencing a truly luxurious vacation. The rooms at this hotel offer park, street, and garden views for guests to choose from, so you are bound to be peering out at unforgettable scenery. 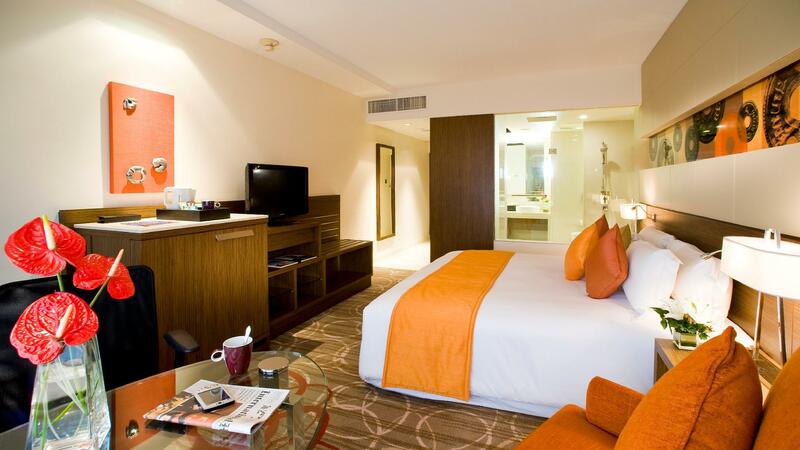 This hotel is near Central Plaza Ladprao, Horwang School, Central Plaza Lad Phrao, Union Mall, and JJ Green. To make your stay truly relaxing, you can take a break from your other activities and pamper yourself for a few hours with a massage. Offering guided tours, the Centara Grand at Central Plaza Ladprao Bangkok is a great spot to stay to learn about the area. Whether it's a bar or room service, this hotel has a selection of dining and snacking choices for you to enjoy. It features a fitness center, a garden, a sauna, and an outdoor swimming pool among other great facilities. The hotel has a kids club, giving your little ones a secure place to hang out and meet other children. Equipped with family rooms, it has ample space to sit together. It also provides a kids swimming pool to keep your little ones busy throughout your visit. 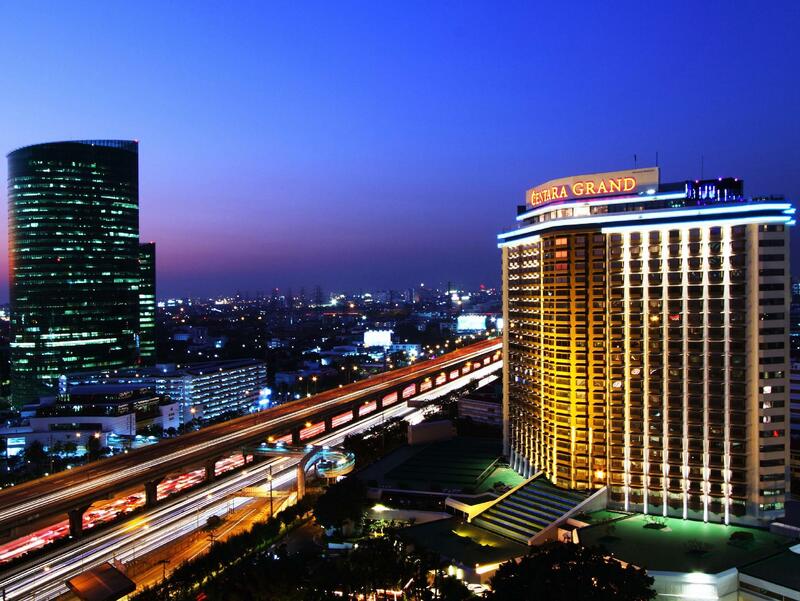 The Centara Grand at Central Plaza Ladprao Bangkok has various convenient features, such as safety deposit boxes, an infirmary, a salon, a currency exchange, and a laundromat. From a concierge to daily housekeeping, the Centara Grand at Central Plaza Ladprao Bangkok has a variety of useful services for you to utilize. All of the rooms come with air conditioning, a hair dryer, slippers, and bathrobes. They also have an in-room safe box, a coffee or tea maker, a wake-up service, a desk, and other amenities. There's free Wi-Fi in all rooms, as well as Wi-Fi in common areas, so visitors won't have to spend money on buying a local sim card. 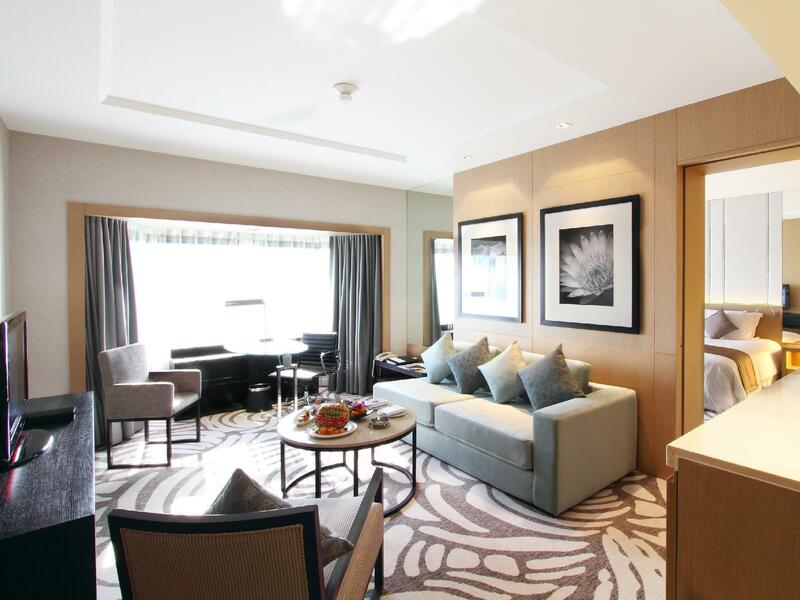 The Centara Grand at Central Plaza Ladprao Bangkok features a front desk that's open around the clock, ensuring that there is always a member of staff on call to answer any questions at all hours of the day or night. With pet-friendly facilities, this hotel is suitable for pet owners who can't bear a holiday without their whole family. It offers express, private, and 24-hour check in and check out, enabling you to conveniently use the service that best suits your needs. 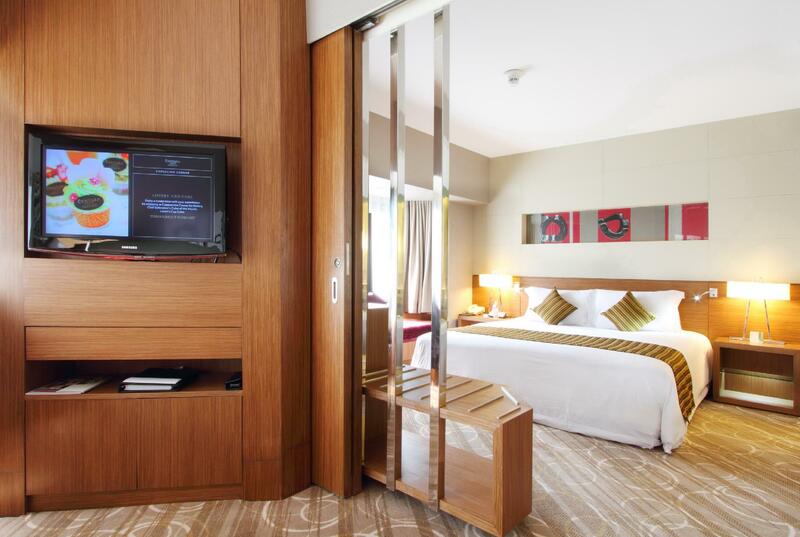 The Centara Grand at Central Plaza Ladprao Bangkok offers check-in from 03:00 PM and check-out until 11:59 AM. It provides an assortment of transportation options, such as airport transfers, car rentals, and shuttle services. Please be informed that the hotel offers free scheduled shuttle services to BTS skytrain Mo Chit Station and Chatuchak Market. The shuttle time may vary during peak traffic hours. For more details and reservation, please contact hotel front desk. Hotel just close to toll gate also connected to mall. New BTS station is in behind of hotel but still under construction. Staff are helpful also they serve halal breakfast which good point for muslim traveler. We enjoyed very much staying at Centara Ladprao. From the welcome greetings and easy check in, all staffs are friendly and helpful and English speaking. The food are superb! The location is good as it annexes to Central Plaza where my daughter enjoy shopping sport outfits and bag. The Centara Grand at Central Plaza is not located near the center of town though it has a very nice mall adjacent to the hotel and near the "world's largest" weekend market. Shop until you drop ladies! The staff was one of the most affable I've encountered in my ten years living and working in Asia and I will not hesitate to return my next visit to Bangkok. While the decor of the rooms is a bit dated so am I and thus not a problem for this old bear. The breakfast with the room was Western friendly and yummy for the tummy. The breakfast hostess could not have been any sweeter and it was such a wonderful way to start each day. I booked for one day, then the day i had to check out i decided to book another day, but the staffs took so long to clean the room as i left the room for half day, but the room was not still ready, The hotel decided to upgrade my room as i was so satisfied. Overall i was good and great location. The hotel is very nice with good facilities. The only thing is that it quite far from the Bangkok city centre. But you will find good shopping mall connected to the hotel to compliment its far distance from the city centre. Everything is fine in the hotel, good services, location is not close to downtown, but come with a big shopping and Saturday market. the club lounge benefit is good, suggest to book the room on club floor. Great place to stay in the Ladprao area. 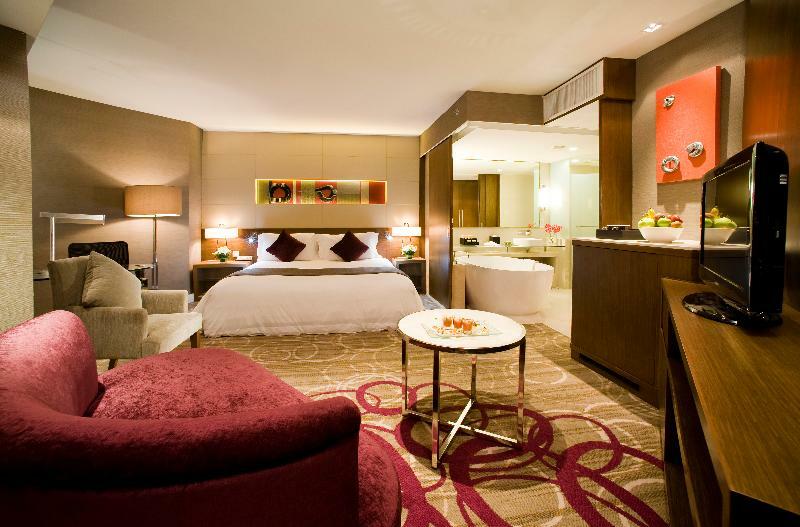 Conveniently located, attached to Central Plaza shopping mall, and with an MRT station entrance just a short walk away. The room was clean, the bed comfortable, and the shower was excellent, this place checks all the boxes for a comfortable nights sleep. The only poor marks come from the room service, I would have given this hotel 5 stars across the board if the food hadn't been so poor. I would not recommend ordering food here, they got our orders wrong, and the quality was pretty bad, especially if you consider the high price. With the exception of the food, everything was virtually perfect, I would definitely recommend staying here. The Centara group is probably my favourite hotel chain in Thailand. Great value, quality, service and location. Rooms are good and food is totally acceptable. 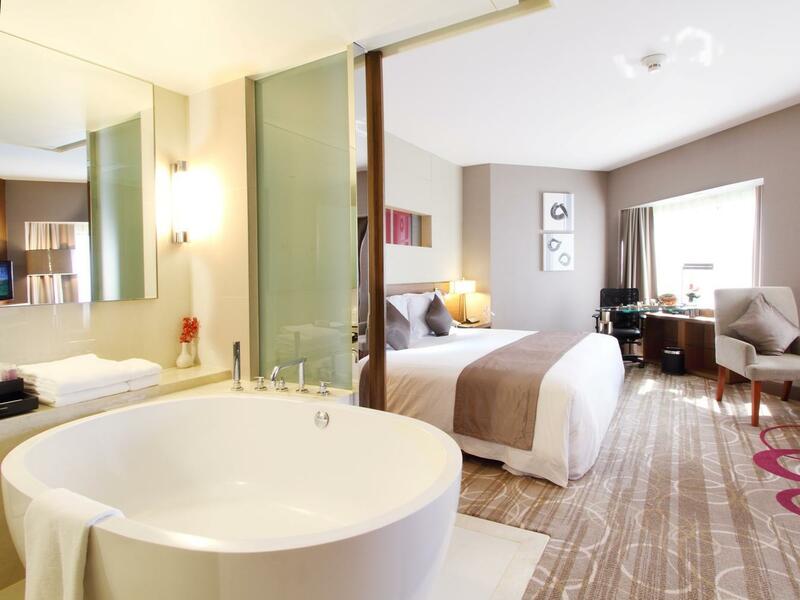 The Lad Prao branch is an older hotel but well maintained and affordably priced. The hotel should provide halal muslim food at their restaurants, especially for breakfast. Even the Central Plaza Mall nearby does not have a single Halal Muslim restaurant or food outlet. Need to travel to MBK to have a good mall facility and halal food there. Centara management needs to improve on this. We booked 3 different rooms with overlapping dates, so am writing a review for all 3 groups. Upon check-in, 1 room got upgraded to the club floor, which was nice. We also requested for the other 2 rooms to be connected, or same floor if possible - to which the staff tried their very best to accommodate as the hotel was fully booked, and gave us 2 corner rooms. Breakfast spread was very good. The hotel is not in the city center, but is linked to the Central Ladprao mall. Staff are courteous and helpful, junior reception staff needs more guidance. Only complaint is that our linen and sheets smelled dank (not dried enough), and room temperature was either too cold or too warm. This hotel is connected to Central Plaza Ladprao (a huge shopping mall) through a walkway via the carpark. It is also within walking distance to Union Mall and two MTR stops away from Chatuchak Market. The room is super comfortable and staff are very friendly. Will definitely stay here again. In general, this hotel is quite near to Don Mueang international airport (approx 15-20 mins ride via taxi/grab). 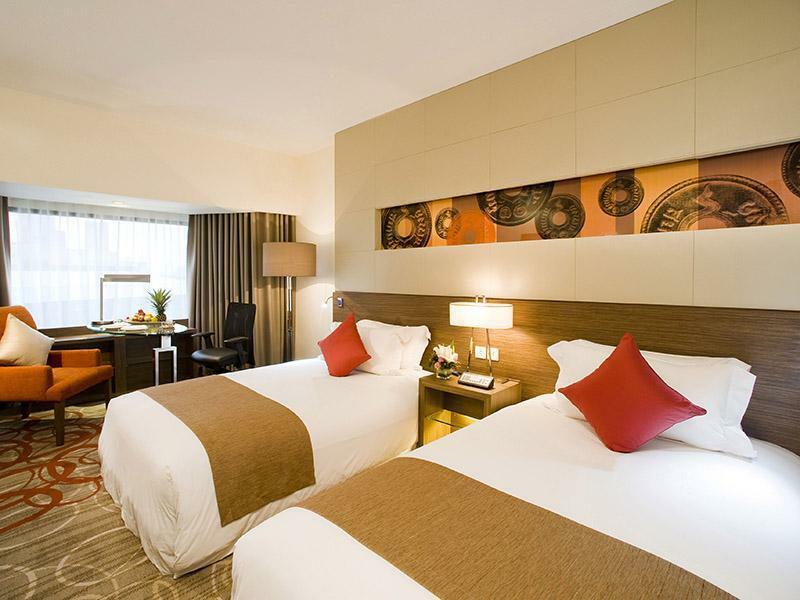 What is also appealing is that the Hotel is connected to the Central Plaza mall via the covered carpark on level 2 where you can find great food and also the Tops Supermarket within the mall's premises. 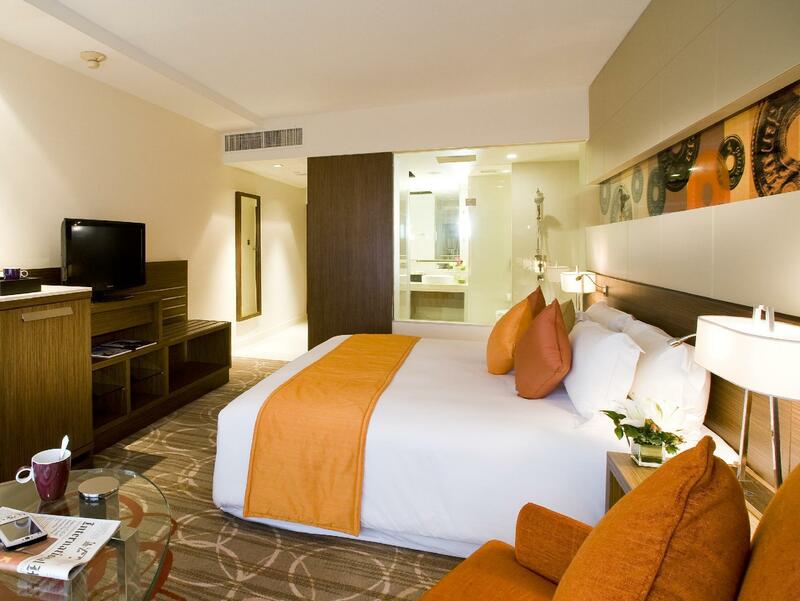 Rooms are spacious and well-kept. Do remember to bring a travel adaptor as there is only 1 universal electrical outlet socket and the other sockets are the local socket type. I will gladly return here again to stay. great location close to the Don Mueang Airport, in addition its affable staff made the stay at this glitzy hotel a welcoming one. the close proximity to central mall right next door provides numerous food option without heading the road. a good place to be!! Great location, great price, great service, what more could you ask for? Unlike many older hotels in the region, this one is pretty well maintained. The rooms are decent and comfortable. The hotel is connected to the mall and is therefore very accessible. Hotel staffs were very friendly and nice. Great value for money as the location and room are very good. Only things I suggest are swimming pool is too small and no other facilities than that I expected. We stayed here coz it’s close to thai immigration for our requirements. We liked the mall next door, they have a great food section and good IT/camera stores. Lots of restaurant options there. Complimentary breakfast was nice and healthy. Staff very good attitude. Room spacious and clean, well appointed.